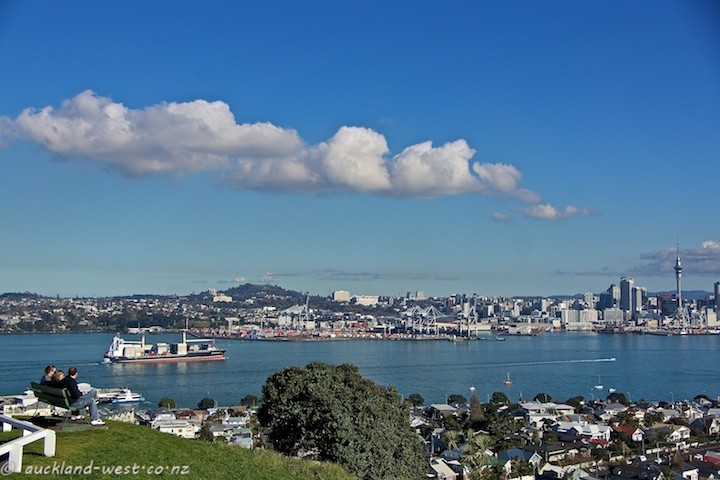 This is the view from Mount Victoria across the Harbour, with Auckland city on the other side. Under the cloud is the volcanic cone of Mount Eden, the Sky Tower to the right. The beautiful sunshine of recent days seems to draw to an end. Beautiful photo!! Boom & Gary of the Vermilon River, Canada. Beautiful white cloud against a glorious blue sky.